There are many technological changes happening in the financial sector. One of the most significant is cryptocurrency. The world is hearing about how Bitcoin saw incredible increases in share value throughout 2017. While Bitcoin is in the news a lot, it isn’t the only cryptocurrency out there. With hundreds of crypto coins out there, the investment opportunities are plentiful. However, there are some potential investors out there that have a difficult time with the fact that a currency that can’t be physically held can be traded. It’s actually less about having a physical currency and more about the blockchain technology behind it. The blockchain is a very complex technology, so not all investors have a good understanding of it. What the investors are after are the returns that can be achieved through this type of investment. If you are wondering if cryptocurrency investing is right for you, it is good to see what the future of cryptocurrency might look like. Bitcoin has seen a lot of fluctuation since it hit the market. However, experts aren’t letting the downward trends stop them from making positive predictions. This is mainly due to new investments naturally having growing pains for a while. Bitcoin, however, is very resilient. To prove this point, Bitcoin’s transaction volume increased 100 times between January 2017 and December 2017. 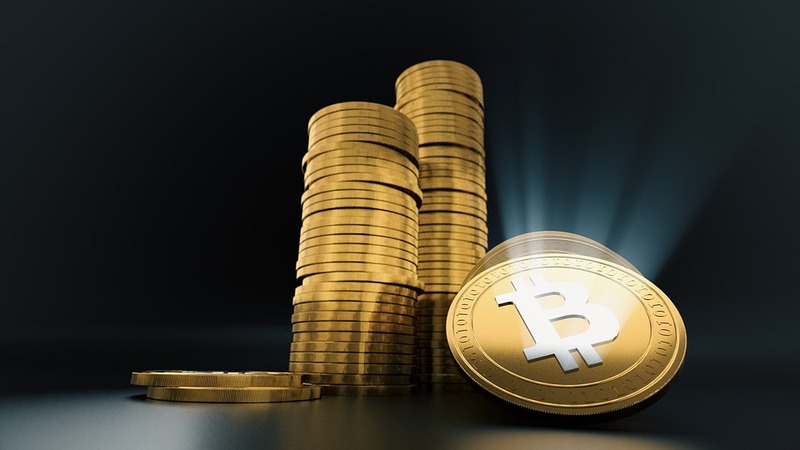 The kind of growth seen by Bitcoin is what is setting the tone for positive predictions that institutional managers are waiting to see become a reality before taking a step toward cryptocurrency. One prediction is that Bitcoin shares will hit $40,000 before 2019, which means there is a lot of promise in the cards. Institutional managers taking the “wait and see” approach will most likely make the move as the value of the shares start to steadily increase. What can’t be discounted, however, is that cryptocurrency is still very volatile. This can make for an exciting investment ride, but it’s one that isn’t for the faint of heart. Bitcoin will most likely be the top cryptocurrency, which means it may continue to split into spin-off currencies. A spin-off currency allows a person to get a piece of the main currency without having to pay the high share price. For instance, in 2017, Bitcoin split to create Bitcoin Cash. The split gave investors another cryptocurrency to invest in. This was good because the Bitcoin share price was $16,000. Bitcoin Cash split at $2,600 per share. For investors wanting a lower-priced way to invest in Bitcoin, this was the way to go. If Bitcoin splits again in the near future, investors will have another path to owning a piece of Bitcoin. One of the main concerns in regard to volatility is how regulatory actions will affect it. Cryptocurrency will see many fluctuations as regulatory agencies in multiple countries settle technicalities around cryptocurrency trading. Over time, there will also be protocols that may become more prominent. Whichever one comes out on top is yet to be known since the technology is still young. It’s the winning protocol that could turn some doubters into believers, which will strengthen the market. As more people who haven’t been very certain about cryptocurrency and blockchain technology learn about it, more will become involved with it. The media has given the coins and technology a lot of exposure recently. This exposure makes it more popular, which could lead to more derivative products. An example of a derivative product is the December 2017 launch of Bitcoin futures. Investors in the United States may also see the approval of a Bitcoin exchange-traded fund. The U.S. Securities and Exchange Commission hasn’t said much about the CBOE’s cryptocurrency ETF filing. If approved, we could see a cryptocurrency ETF sometime in 2018 or no later than 2019. This would be another move that could attract more international investors and reduce some of the volatility. Is Cryptocurrency Investing for You? Even if volatility is reduced, it will always be a factor that can make the decision to invest in cryptocurrency difficult. This doesn’t take away from the promising future of cryptocurrency, though, especially since there are so many cryptocurrencies out there. The share value of cryptocurrency can fluctuate by hundreds or thousands of dollars in a short time. There are many cryptocurrencies to invest in, so there are plenty of opportunities. The internet bubble may pop, but cryptocurrency is working hard to solidify its footing in the marketplace. There is a lot of risk involved with cryptocurrency investing, so it’s not for someone who can’t afford to take a risk. Regulation by the U.S., China, and Russia is having an impact on crypto coins, but it would take a lot to destroy it. Coinbase or GBTC can help you begin your cryptocurrency investing journey, but there are costs. There are open exchanges online that will save money, but there is a lot of risk and a learning curve. If too many coins are released within a short amount of time, the market could become so saturated that low-quality coins would fail to increase in share value. It’s important to do the necessary research first. Cryptocurrency is decentralized, so the banks have no control over it. Negative news can result in sell-offs that bring down the value. A low value can present great buying opportunities. If you’re still not sure about investing in cryptocurrency after reviewing these points, that’s fine. It’s important to do the appropriate research before taking such a huge step. Yes, the opportunity is exciting, but you should feel secure in the decision that you make. Also consider that you don’t have to rely on just Bitcoin to be a good investment. Ethereum, Ripple, Litecoin, Monero, Zcash, and Dash are some of the top cryptocurrencies out there. To get started, you can invest with money you already have that you can live without. What you don’t want to do is turn to a personal loan as a way to fund the investment. The cryptocurrency could lose value, and you’d still be responsible for the loan used to pay for it. Personal loans are meant for taking vacations, home improvements, buying cars, and paying off debt. As long as you do research, evaluate the market, and see what the media is saying about cryptocurrencies and blockchain technology, you can properly educate yourself to the point you can make the right decision for you. Keep in mind that there’s a lot of short-term and long-term income potential as long as you buy and sell carefully.